FERC on Tuesday approved Tariff revisions intended to relieve costs for MISO resources pseudo-tying into PJM despite criticism the changes don’t go far enough in easing their financial burdens (ER19-34). The new MISO Tariff provisions are the second phase of a joint MISO-PJM effort to facilitate the flow of pseudo-tie transactions between the RTOs by relieving redundant congestion costs. The need for the rule changes arose as a growing number of MISO generators sought to meet PJM’s requirement that external resources establish a pseudo-tie to participate in its capacity market. MISO’s Phase 2 revisions update the RTO’s Tariff to include pseudo-tie transactions in “the types of interchange schedules that a market participant must report on and coordinate with the transmission provider.” They also add “language that allows pseudo-tie transactions to utilize day-ahead virtual transactions to align the transmission usage charges and available congestion hedges” — that is, financial transmission rights. MISO said the revisions clarify that participants with pseudo-tied resources can use the day-ahead market to hedge against real-time congestion. Another provision ensures that pseudo-tied resources out of MISO are charged for administrative costs in the same manner that market participants with physical transactions are charged by altering the billing formula underpinning those costs. In approving the Tariff revisions, the commission noted Tilton Energy and other stakeholders have argued that MISO’s assessment of any administrative fees for pseudo-tie transactions violates the RTO’s Tariff, an issue being contested in other FERC proceedings (EL16-108; EL17-29 and EL17-54 against MISO; and EL17-31 and EL17-37 against PJM). “Our finding here is that the reduction of the administrative charges is just and reasonable, and the question of whether MISO is authorized under its Tariff to assess these administrative charges will be addressed in the orders on the MISO/PJM pseudo-tie congestion complaints against MISO,” the commission wrote. The commission said those proceedings also were the appropriate venue for addressing American Municipal Power and Dynegy’s objection to MISO’s continued practice of subjecting pseudo-tied resources to transmission usage charges. 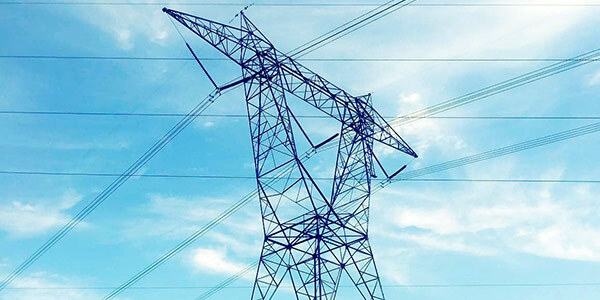 “Whether the commission ultimately determines that the MISO’s assessment of transmission usage charges on pseudo-tied resources is unauthorized under the MISO Tariff does not affect the currently existing right of market participants with pseudo-tie transactions to use virtual transactions,” the commission said. FERC also rebuffed Tilton and AMP’s contention that MISO should implement a rebate mechanism similar to that of PJM in order to ensure all overlapping congestion charges are eliminated. “Based on PJM’s and MISO’s representations in their Phase 1 revisions and Phase 2 revisions proceedings, and the absence of evidence to the contrary, the RTOs have demonstrated that the congestion overlap has been eliminated,” FERC found. The commission did direct MISO to amend its proposed revisions to clarify that pseudo-tie transactions are not technically included in interchange schedules, despite using language indicating they should be treated as such with respect to coordination with MISO. FERC staff wants more details on MISO’s proposed pro forma pseudo-tie agreement, which the RTO hopes to begin enforcing in June. MISO is asking FERC to schedule a technical conference to clarify the rules governing the implementation and use of pseudo-ties.